Convert your Creative to HTML, CSS, WordPress, Android, iOS, Visual Studio and more with the Ultimate Creative Cloud plugin. All projects start here, see how Export Kit makes creating the concept for your project a breeze. 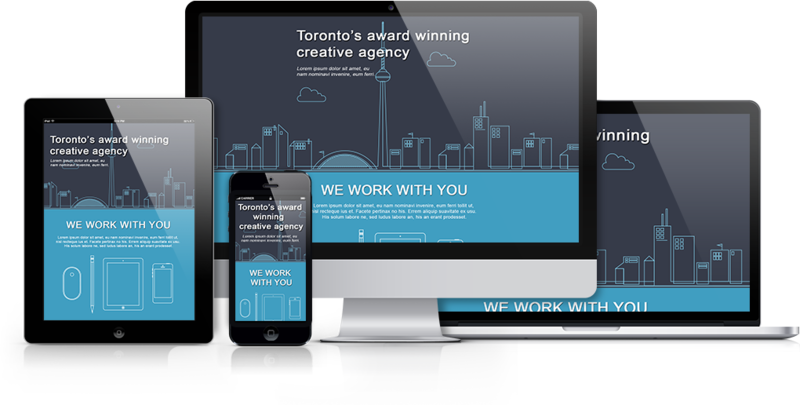 Layout your Creative document for any common screen size using Canvas Layout. Enhance your Creative design with Smart Guides to accurately layout your document or layers. Drop-and-drag Creative UI elements into your Photoshop, Illustrator or InDesign document, then arrange and order the design blocks. Once your concept is ready, take a snap-shot of your Creative document to give to your client for approval. Once your concept is approved by the client, Export Kit makes designing your project effortless. When your design is approved, edit your custom Creative elements to customize the design for the client. 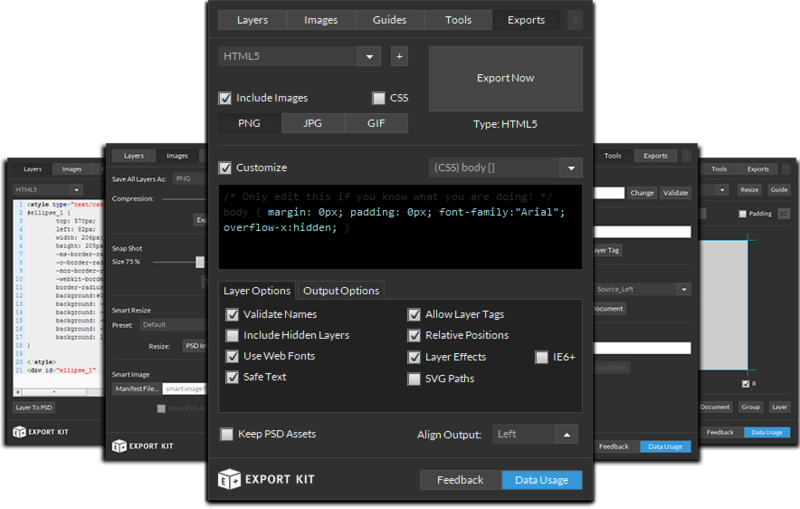 While you design, see your Photoshop, Illustrator or InDesign layers instantly in any code language. 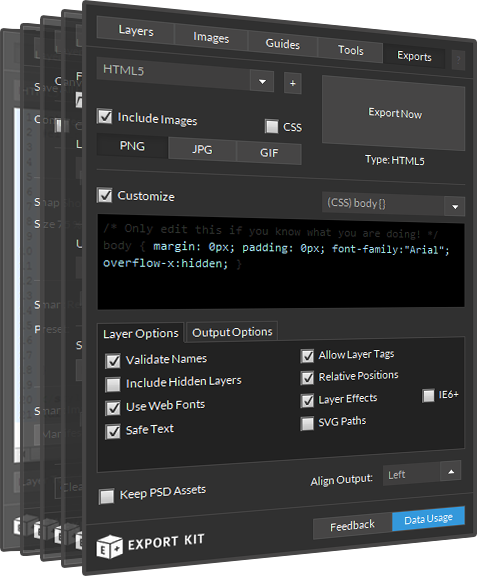 Additional layer view options for professional designers. Save any Creative layer or folder as image slices for PNG, JPG and GIF. Open any Photoshop, Illustrator or InDesign element as an individual Creative file for editing. When you send your design to the client for approval, save a snap-shot with a watermark - protect your work. Once your design is approved by the client, Export Kit turns development into a few clicks. When your design is approved, save all your Creative layer images - great for client assets. Clients always want to see how it looks - show them as you go with lightning fast exports! If the client likes where you're going, add Layer Tags to your Creative for advanced functionality. Now that you have everything you need, select your options and watch the magic. Not all exports require images, only include them when you need them! Edit and customize your output properties before your export in any environment. Include and modify code scripts directly inside your Creative with our Virtual Scripts. Add advanced features to your Creative output before you export.